See below for previous client results, all new results will now be published on our Facebook page, see above. 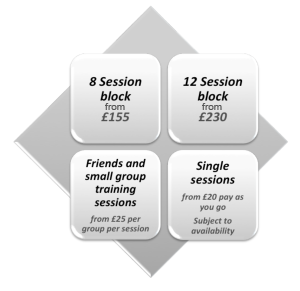 Friends Karen, Lisa, Clair and Tracey have been doing small group personal training sessions together over the last few weeks. Angela suffers from anxiety and has found exercise to be a useful tool to help her overcome the psychological barriers she faces. Applying hard work and dedication throughout her personal training process has enabled Margaret to reap the rewards! 2 months in and I'm already 2 stones down, 5 inches lost on both my waist and my hip measurements! Congratulations to Kelly on her big day. Dedicated to getting herself in shape for the big day! Chris has really applied himself to the personal training process in the last four months. Paul has overcome barriers along the way and has demonstrated with the correct mindset you can achieve your goals. After months of diets, going to the gym and thinking that I was eating all the rights foods, I didn't see the results I wanted. Shahbaz has been dedicated and consistent with his training and nutritional approach throughout his personal training experience. Client of mine has been training in preparation for her wedding in a few weeks. May 2015- 5 inch reduction in waist measurements in one block of personal training sessions. May - 2015 - Elaine hits the 10 stone weight loss milestone! The story is in page 4 of this weeks Falkirk herald, great achievement Elaine. Inspirational and very well done! Read Michaels review of his personal training experience with me. November- 2014 - Elaine reaches the 100 lbs weight lost milestone! Samantha has been working very hard on both exercise and diet during her personal training with me. October -2014 - Colin has transformed his body shape and fitness levels in just one block of personal training sessions. Great effort! August - 2014 - 15 inch combined reduction in measurements from hips, waist and thigh! November- 2013 - After only two blocks of personal training sessions Gail is now leaner, fitter, healthier and enjoying keeping fit and active! Very well done to Gail, a client of mine who started doing personal training to get in shape for a holiday. August- 2013 - Inspirational Andrew! He reduced his waist measurements by 14 inches!! During the last few months Andrew he has been working really hard to achieve his goals. Andrew was 18 st when he started his personal training journey with me, he is now 14 st.
Marco had been working really hard over the last few months, he has been following a diet plan that has enabled him to lose weight, improve his fitness and his general health and well being. Yvonne’s goals at the start of her personal training experience were to improve her general fitness and running abilities. With the overall aim of being able to take part in local 5k and 10k races and then progress on to half and full marathons. Well done to Moira for her performances at the Irish dancing world championships in Ireland. Well done to Lynne for reducing her waist size by 3 inches. Charity success for two clients who participated in charity running events.